Seven Sisters Cheese by The Farm at Doe Run | Blog | Di Bruno Bros.
Posted August 17, 2015 by Di Bruno Bros. The Farm at Doe Run, located in Coatesville, Pennsylvania where there’s some of the finest farmland in the country, creates some of the most sought-after cheeses because of their philosophy of and dedication to sustainable farming. Samuel Kennedy and Matthew Hettlinger, the cheesemakers on the farm have perfected the art of original, farm fresh cheeses made from the milk of pasture-raised cows. Seven Sisters, one of their most well-known cheeses is produced using Jersey cow’s milk. Described as a cross between Alpine and Gouda, Seven Sisters is enjoyed both young and aged. The cheese is aged in stone caves located below the dairy farm. 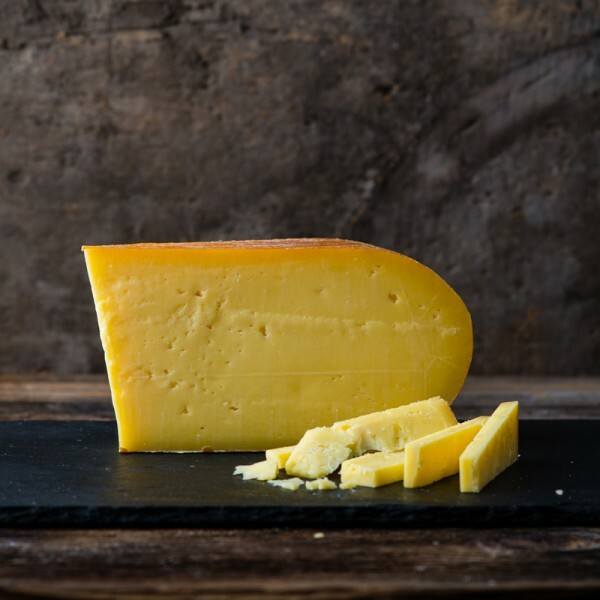 The popular original by The Farm at Doe Run is firm, with a natural rind. Its flavor starts with sweet milk, moves to a butterscotch and nutty taste with a pinch of herbaceousness. The cheese is best paired with light ales and beers, as well as dry ciders. Seven Sisters has won “Best in Show” at the first annual cheese competition at the 2015 PA Farm Show in Harrisburg, PA, and debuted at this year’s American Cheese Society conference. Find Seven Sisters online and inquire about in-store availability. Please send me a price list do I can buy your cheese personally. Got this cheese in Philadelphia at Di Bruno Bros. In the Italian market. LOVE LOVE LOVEit! Hi Bonnie! Thanks so much for your note. We don’t have a price list for all of our cheeses currently, but our mongers will be happy to help you if you give your nearest store a call. Our locations and phone numbers are listed here: http://www.dibruno.com/locations/ Have a great day! How can I order the seven sisters cheese or where can I buy it? Check out Di Bruno’s latest culinary discoveries, events, promotions, & more! Stay connected for new Di Bruno products, promotions, sales & more!